The health-care industry is finally ready for a major IT upgrade, and for partners with the right solutions the prognosis is excellent indeed. In this series, Redmond Channel Partner takes a deep dive into specific industries. Each installment examines one vertical market's IT spending trends, describes Microsoft's strategies for reaching customers in that field and explains how Microsoft partners can best position themselves to compete and win new business there. This time, we cover the special considerations of selling to customers in the sprawling health-care and life-sciences marketplaces. By any measure, Americans spend a lot of money on health care. In fact, according to a February 2007 report from the federal government's Centers for Medicare and Medicaid Services, U.S. health outlays hit $2.1 trillion in 2006. That's trillion with a "t." And the study predicts that, within a decade, annual health-care spending in the United States will nearly double, reaching $4.1 trillion by 2016. The health-care companies aren't the only ones receiving massive amounts of money; the information technology industry is benefiting as well. The Health Industry Insights unit of IDC, the Framingham, Mass.-based research and analysis firm, expects doctors, hospitals and clinics to spend $29.5 billion on IT this year, up from $26 billion in 2005. And that's on top of the billions spent by health insurers and life-sciences companies, the health-care industry's other main segments. No wonder Siva Velu feels it's a great time to be in health-care IT. Velu is executive vice president for East region operations and strategy at Covansys Corp. of Farmington Hills, Mich., a Gold Certified consulting and technology services company with a thriving health practice. "Compared to other industries, health care remains at least two decades behind in terms of leveraging technology," Velu notes. But now the industry is finally making overdue investments in applications and infrastructure. "We see a lot of potential," he says. So do many other Microsoft partners. The health-care industry is badly in need of a technology makeover, they say, and IT companies that know what customers are buying-and why they're making those specific choices-stand to cash in big. Health-care providers-a massive category encompassing everything from solo physician practices to giant hospital chains-offer the industry's richest opportunities. There are currently some 590,000 providers in the United States, according to In-Stat, a Scottsdale, Ariz.-based research firm. Partners say many of those providers are relying on badly outdated applications. "There are a lot of systems out there that are 15, 20, 30 years old," notes Bobbie Byrne, M.D., vice president and general manager for clinical solutions at Eclipsys Corp., a Certified Partner and vendor of provider solutions based in Boca Raton, Fla. Meanwhile, Microsoft estimates that some 85 percent of providers still use paper-based charts. That's why many partners consider electronic medical record (EMR) applications, which digitize health data, an especially promising market. So far, large hospitals have been the most avid consumers of EMR technology, but several factors are now prompting smaller facilities and physician practices to investigate it, too. For one, prices on EMR applications are dropping, with entry-level offerings now available for as little as $15,000. In addition, health insurers have begun introducing "pay for performance" incentive plans that reward providers for controlling costs, and EMR systems help simplify those plans' reporting requirements. As Byrne observes, "It's hard to do pay for performance on paper." So far, rising EMR spending has chiefly benefited ISVs, but services providers are beginning to profit as well. EMR systems require plenty of integration and customization. Moreover, some larger hospitals are hiring partners to build their EMR applications from scratch. Once you factor in annual maintenance fees, Velu says, some packaged EMR products can actually cost more over their lifetimes than handmade systems do. Newcomers to the space should be forewarned, though: Closing deals with providers can be challenging. Hospitals, for example, tend to be wary of risk. "They're followers, not leaders," says Kent Summers, a partner at Practical Computer Applications Inc. of Waltham, Mass., a Gold Certified provider of custom application design and development services. Summers recommends making heavy use of case studies and one-to-one meetings with reference clients when pitching hospitals. Those institutions are far more willing to buy a new technology when they know they're not the first to use it, he says. Doctors can be tough customers too. "They're notoriously cheap," says Summers. To loosen their purse strings, Byrne suggests emphasizing a new solution's potential impact on two assets that doctors prize highly: time and money. For example, she notes, an EMR application can both shorten your workday and win you more pay-for-performance dollars. Selling to health insurers (or "payers," in industry parlance) tends to be easier, partners say. "Payers are usually ahead of the curve as far as technology is concerned," observes Amjad Shamim, managing partner and CEO of AAJ Technologies, a Gold Certified provider of consulting services and vertical solutions based in Fort Lauderdale, Fla. They're also spending more aggressively lately, Shamim says: "There are a lot more opportunities for automation and collaboration." Leading those opportunities are projects aimed at reducing administrative overhead, such as upgrades to core claims-processing systems. 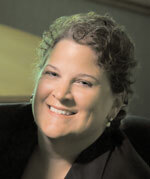 "Many payers have grown through acquisition, and have pieced together claims systems that create inefficiencies for them," says Elizabeth Boehm, a principal analyst and health-care expert at Cambridge, Mass.-based Forrester Research Inc. As a result, many insurers are now trying to integrate their claims applications more tightly or replace them outright with more modern systems. Analytics solutions are also gaining popularity among payers. When used either in conjunction with pay-for-performance arrangements or on their own, such systems help payers determine which providers are most and least wasteful. "We see our clients trying to get more value out of their data and really use it to contain costs," says Mike Coyne, COO of Urix, a Boston-based Certified Partner and provider of health-care business intelligence solutions. Payers are also sharing analytics reports with their customers. "The cost of health care is one of the biggest that [employers] have, and it's probably the one that confuses them most," Coyne observes. Helping businesses understand where their health-care dollars go boosts customer loyalty. The medical community offers partners a healthy range of opportunities, starting with the need for upgrades, says Bobbie Byrne, M.D., vice president of Eclipsys Corp.: "There are a lot of systems out there that are 15, 20, 30 years old." Life-sciences businesses are most interested in boosting their flagging profits. In the past four years, drug makers in particular have consistently underperformed the S&P 500, says Carol Rozwell, vice president and distinguished analyst at Stamford, Conn.-based research and analysis firm Gartner Inc. That's unfamiliar territory for such companies, she notes: "If you look at their financial performance over the past few decades, they've typically had record returns." With margins under pressure, the big pharmaceuticals and their cousins in biotechnology and medical-device manufacturing are turning to IT for help in getting new goods to market faster. Most life-sciences patents last 20 years, but the clock usually starts ticking before the decade or more of clinical trials and regulatory reviews that a drug or device must go through before winning approval from the federal Food and Drug Administration (FDA). Accelerating new product creation enables life-sciences businesses to enjoy monopoly distribution rights longer. That's why many companies are deploying electronic content-management applications and digital clinical-development solutions. Such systems shorten developments cycles by freeing companies from the inefficiencies associated with paper. Regulatory compliance technology is in high demand in the life-sciences market as well, thanks to a relatively obscure FDA directive called Title 21 CFR Part 11. Enacted in 1997, this regulation essentially requires life-sciences businesses to ensure that data in their product development and operational systems is tamper-proof. That's driving increased spending on auditing and access controls for existing applications, as well as on replacement systems with built-in CFR Part 11 support. Sales and marketing challenges are attracting added spending, too. Life-sciences businesses have long relied on armies of door-to-door salespeople to tell physicians about new products, a process known in the industry as "detailing the doctor." Recently, however, busy caregivers have been less receptive hosts. "Physicians are either refusing to see a salesperson or they have much less time available when the salesperson makes a call on them," says Rozwell. In response, life-sciences companies are investing in so-called "e-detailing" solutions-sophisticated, video-heavy Web sites that pitch new drugs online. "The opportunity there is you can interact with the care provider off hours when they have time," Rozwell explains. Still, while life-sciences companies are dedicating more attention to technology, they're only marginally increasing their spending on it. According to Gartner, IT budgets in the life-sciences space are up a modest 3.17 percent this year. Most companies are shifting dollars from one budget line to another rather than allocating additional funds, Rozwell says. Just the same, partners in the life-sciences space like the trends they're seeing. "There's a pretty substantial market opportunity," says Bill Burke, president and CEO of Wheaton, Ill.-based Merit Solutions Inc., a Gold Certified business and technology services company. Moreover, you don't have to be a tech-world giant to tap into it, he adds. Though the biggest pharmaceutical companies typically work with equally big IT vendors, there are some 15,000 midsize life-sciences companies in the United States alone, according to Merit's internal estimates. Such companies are ripe targets for regional and even local partners, Burke says. As far as Microsoft is concerned, there's plenty of upside in health care for everyone. "We see growth for Microsoft and our partners," says Matt Campbell, Microsoft's U.S. industry managing director for health care and life sciences. "There's too much pent-up demand to make information available in a way that isn't cost prohibitive." Evidence of just how large an opportunity health care represents to Microsoft came in September 2005, when the company re-hired Peter Neupert to coordinate its global health strategy. A long-time Microsoft veteran who left the company in 1998 to head up online retailer Drugstore.com, Neupert is now vice president in charge of Microsoft's Health Solutions Group. In press materials, he has described his mission as "helping turn a fragmented health-care system into an integrated and informed network of providers and consumers." Dashboard applications: Most hospitals use dozens of specialized solutions to manage everything from patient admissions to radiology analysis. A dashboard application provides a hospital's senior decision makers with organization-wide snapshots of business conditions based on data from all those systems. Similarly, life-sciences companies are using dashboards for real-time insight into the status of regulatory compliance in their labs and manufacturing facilities. Security solutions: Health-care companies are required by law to keep patient data private. Yet a full 18 percent of provider organizations have experienced security problems in the past six months, according to an April 2007 CIO survey by the Healthcare Information Management and Systems Society (HIMSS), an industry professional association. Partners with suggestions for preventing such breaches are likely to be warmly welcomed. Storage systems: Clinical trials for new drugs and devices have historically generated massive stacks of paperwork. Now life-sciences businesses are beginning to digitize all that data, creating the need for robust storage solutions. Mobility solutions: The provider space is a natural market for wireless mobile devices, which can help doctors view patient data and complete prescriptions wherever they are, rather than having to return to desktop computers. Just remember that when it comes to mobile technology, physicians have a need for speed, says Amjad Shamim of AAJ Technologies: "If they can't access information right away, they're not going to use it." Some in Microsoft's channel, though, wonder whether Neupert's strategy for realizing that mission includes competing with partners. In July 2006, Microsoft purchased a custom "health-intelligence" solution called Azyxxi from MedStar Health, a 23,000-employee provider organization headquartered in Columbia, Md. The system performs many of the same functions as EMR software, leaving some EMR vendors nervous. "When they first purchased [Azyxxi], it felt very much like a competitive threat," says Byrne. More recently, Microsoft has been depicting its acquisition as a vehicle for integrating EMR systems rather than replacing them, Byrne notes. But the company has yet to specify firm plans for Azyxxi, and many health-care partners won't rest easily until it does. "A lot of people are looking to see what they're going to do," Byrne says. According to Campbell, partners needn't worry. "Our strategy today is that we'll bring vertical-specific solutions to market through partners," he says. Yes, Microsoft may market a health-care solution or two, but those will be the exception rather than the rule. "Our experience is that [by] working with our channel we have far greater reach," insists Campbell. Partners have other bones to pick with Microsoft, though. Some, for example, believe that the company needs to step up its industry marketing efforts. "Microsoft has a lot of catching up to do with some other platforms in terms of acceptance," says Glen de Vries, CTO of Medidata Solutions, a Certified Partner and maker of clinical research solutions based in New York, N.Y. Shamim, of AAJ Technologies, would also like to see Microsoft promote itself more aggressively. Microsoft is a major presence at industry trade shows, he notes, but far from the biggest. "Microsoft needs to invest a lot more in health care, from the lobbying perspective and from a channel-building perspective," he says. But Coyne, of Urix, believes that Microsoft's reputation is already plenty strong among health-care companies. Like many other partners, he's found the company's powerful brand to be a major sales asset. "It really generates a level of comfort with our customers," he says. Yet even Coyne worries that Microsoft's health-care push will prove short lived. "It does feel a bit like a toe in the water," he says. Microsoft appears to be more serious about health care than it's been in the past, he notes, but the company has backed away from industry initiatives before. He's hoping that history doesn't repeat itself. "I'd like to see Microsoft remain committed to the health-care space," he says. "The more they develop solutions specifically designed for health care, the more it pulls through demand for our products and services." Let others fret about the prospect of competing with Microsoft, says Coyne: "Their involvement in the space is nothing but good for us."